His father is dead, and it’s my uncle’s fault. We shouldn't be attracted to each other, but we can't resist. Mason Reeves is the living embodiment of a family secret too awful to bear. When my cousin invites him to Thanksgiving in the hopes of healing the past, she only creates a new problem. He shouldn't make my heart flutter. I shouldn’t be entertaining indecent thoughts. And we definitely shouldn't be exchanging heated glances while my family sits just feet away. Maybe I shouldn’t reach out to him, but I can’t help myself. He can't help himself either. In fact, he helps himself to every last inch of me. I do nothing to stop it. I encourage it. I practically beg. But this was never meant to last. I’ve always known, no matter how much I tried to pretend. After all, it's not his history that will be our undoing. 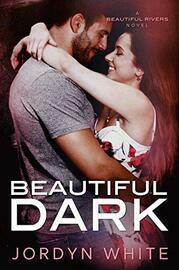 BEAUTIFUL DARK a full-length standalone in the Beautiful Rivers contemporary romance series. If you enjoy tales of desire, sacrifice, and hope, you’ll adore this stunning forbidden romance by Jordyn White.